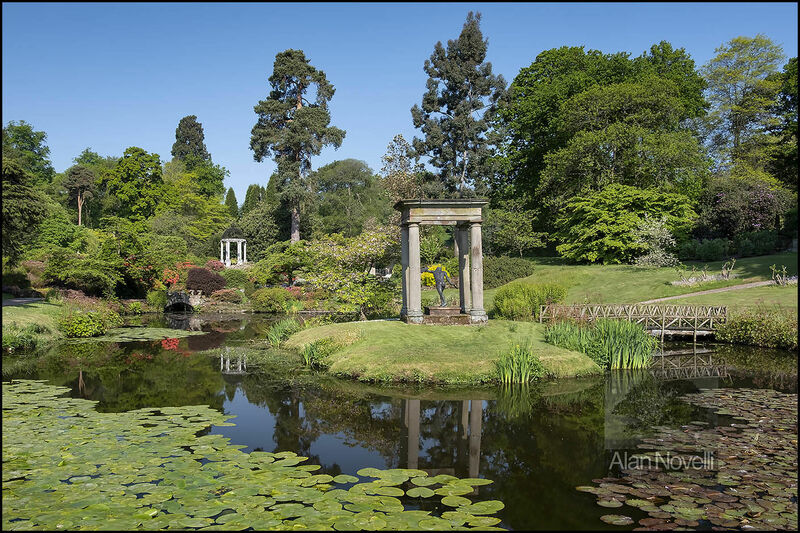 Cholmondeley Castle's beautiful Temple Garden is photographed on a perfectly calm and clear Cheshire spring morning. This garden is a particular favourite of mine and I have been shooting it throughout the seasons for over 10 years now. The covering of lily pads at the base of the image frame the scene nicely and perfect reflections help to produce a peaceful and tranquil image.